WASHBURN COUNTY -- A Spooner, WI man has been charged criminally with burglary after security video footage allegedly shows him burglarizing Bass Lake Inn located on Big Bass Lake Road. Steven Stariha, of Spooner, WI, is facing charges of Class F Felony Burglary of a Building, Misdemeanor Theft, Misdemeanor Criminal Damage to Property, Misdemeanor Obstructing an Officer, Felony Possession of Marijuana, and Misdemeanor Possession of Drug Paraphernalia following an incident on February 20, 2018 in which Bass Lake Inn was burglarized. 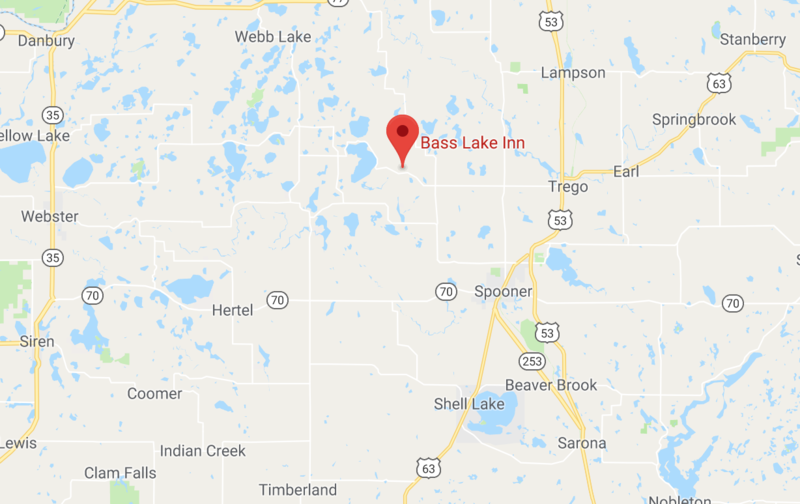 According to the criminal complaint, shortly before 2a on February 21, 2018, Washburn County Sheriff’s Office Deputies were dispatched to Bass Lake Inn to respond to a report of a break-in. The owner of Bass Lake Inn stated that she had to leave the bar at around 11p to handle a family medical emergency and that she was now watching security video footage which showed someone had entered the bar after she left. The criminal complaint goes on to state that security video footage showed a male apparently breaking into Bass Lake Inn by elbowing out the safety glass of the entrance door. The male then moved to the cash register where he attempted to open the register. Failing to open it, the male picked up the cash register and then smashed it against the wall, damaging the wall. From there, the security video showed the male carrying the cash register into the kitchen area where audio from the security video picked up the sound of something being smashed inside the kitchen area. The male then came out of the kitchen area and back into the bar area and began to make phone calls. Deputies on scene found the broken cash register, cash lying on the floor of the kitchen and the bar area, and Stariha’s vehicle in the parking lot. The criminal complaint goes on to state that the owner of Bass Lake Inn identified Steven Stariha as the male in the security footage, stating that Stariha had been in the bar earlier that night and that she had served alcohol to him. The owner was able to also identify a piece of the cash register which was visible in the cupholder of Stariha’s vehicle. A search warrant was later conducted on Stariha’s vehicle and marijuana and drug paraphernalia were also found inside the vehicle according to the criminal complaint. Follow-up interviews with other witnesses confirmed that at around midnight the night of February 20, 2018, Stariha was picked up from Bass Lake Inn and given a ride home. While at the residence, investigating officers also could allegedly smell the odor of marijuana coming from the bedroom of the home. Also living in the residence was Alexandria Fritz, who ultimately went with a deputy into the bedroom and retrieved a bag containing over 10 grams of marijuana. Online circuit court records show that Fritz is facing charges of Misdemeanor Possession of THC (Marijuana), and Misdemeanor Possess Drug Paraphernalia stemming from this incident. She is due to appear on her criminal charges in April 2018. Stariha made an initial appearance regarding his charges on March 19, 2018, and is due to appear again in April 2018.